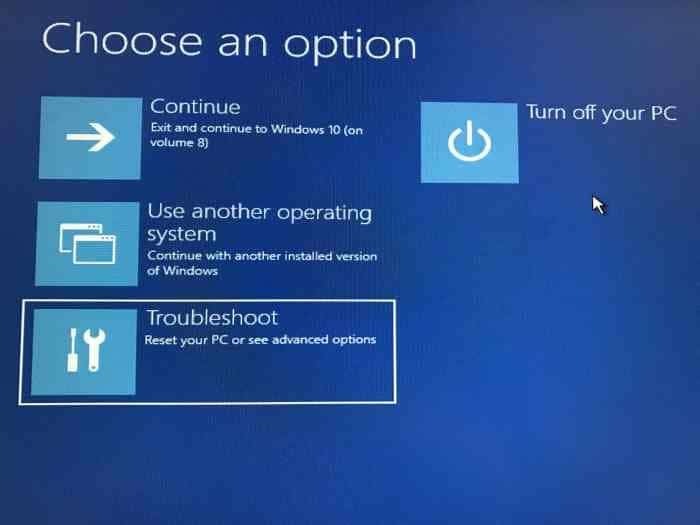 Is your PC refusing to boot into Windows 10? 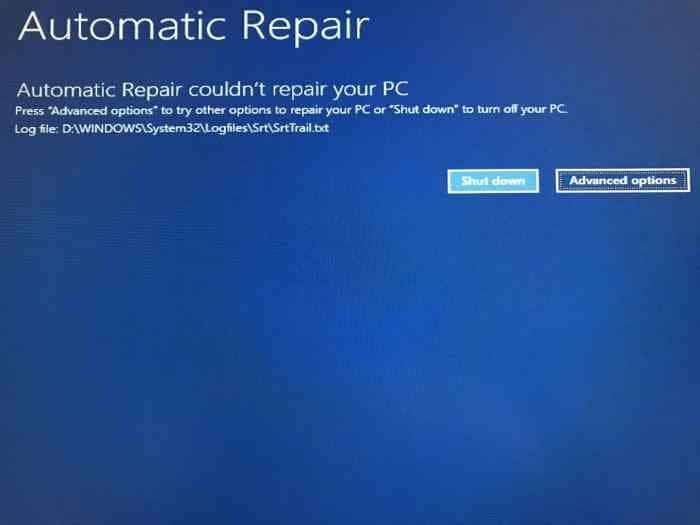 Are you unable to boot into Windows 10 because of startup issues? Want to backup your documents, pictures, and other personal files before reinstalling or repairing Windows 10 installation? 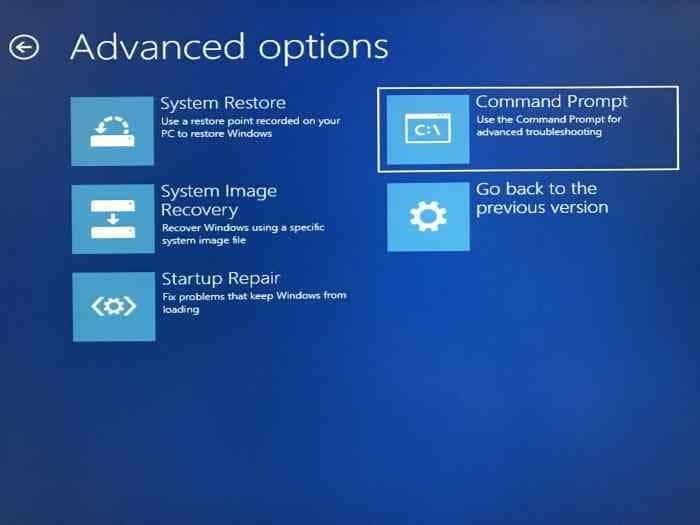 In this guide, we will see how to recover your data when Windows 10 PC is not booting. There are many ways to backup or recover data from an unbootable PC. You can either use a Linux live CD, use third-party tools like Redo Backup and Recovery, or connect the HDD or SSD to another PC to backup data. 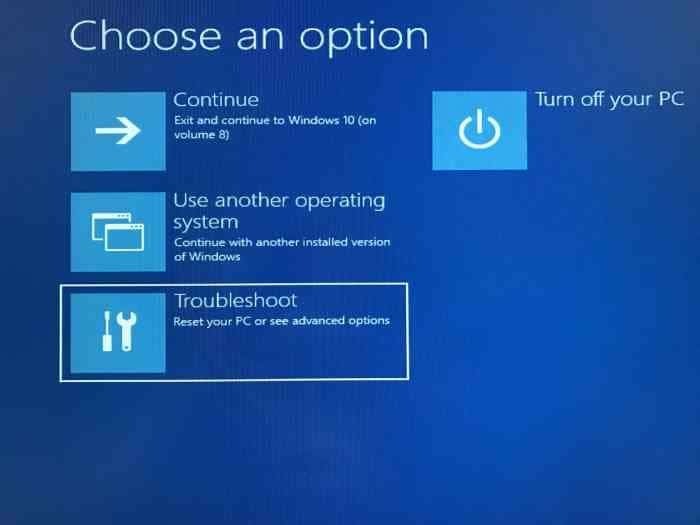 If you are running a Windows 10 PC, you can recover or backup the data from an unbootable PC without any hassles. Follow the directions in given below methods to recover or backup data from your unbootable Windows 10 PC. IMPORTANT: If you plan to recover or backup data to an external drive, please connect an external USB drive before turning on the PC. Step 1: After two consecutive failed attempts to boot, you will get the recovery environment (WinRE). NOTE: If you are not getting the WinRE or Automatic Repair screen, please refer to Method 2 or Method 3. Step 2: In a few seconds, you will get the Automatic Repair screen. Here, click Advanced options button. Step 3: Next, you will get Choose an option screen. Click Troubleshoot. 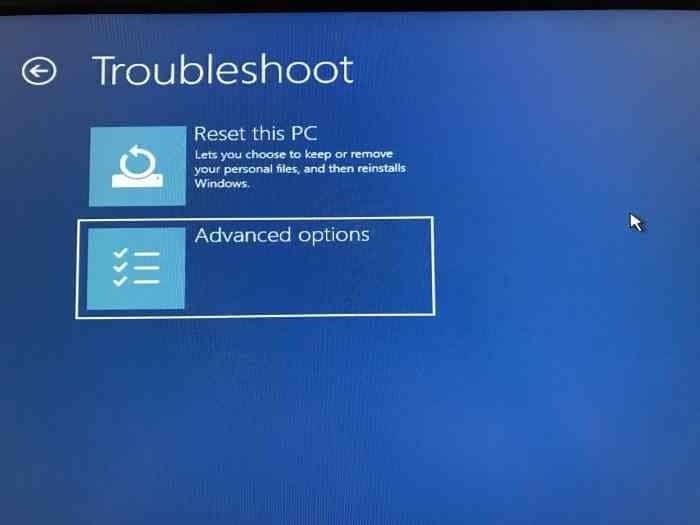 Step 4: On the Troubleshoot screen, click Advanced options to proceed to the same. Step 5: On the Advanced options screen, click Command Prompt. You should now get the Command Prompt window on the screen. 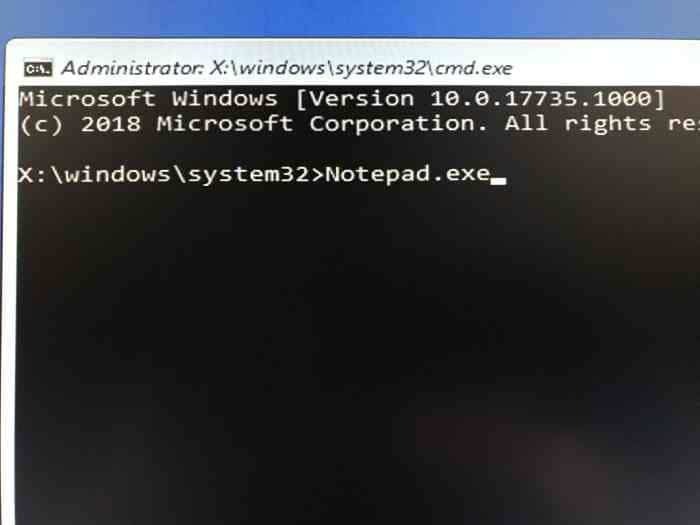 Step 6: At the Command Prompt window, type Notepad.exe and then hit the Enter key to launch Notepad program. You can use WordPad program instead of Notepad. Step 7: In the Notepad program window, click on the File menu and then click Open option to see the Open dialog. It’s important to note that you might not see all files other than text files by default settings. In the Open dialog, change the Files of type to All Files from the default TXT to see all file types. Copy the file or folder and then paste it in the location where you would like to create a backup of the file. If you want to backup the file to an external drive, right-click on it, click Send to, and then click on the external drive in the menu. You will not see the Copy/transfer status dialog. Note that you cannot select multiple files/folders at a time. So, if you have tons of files to back up, we advise you back up the folder containing your files instead of backing one file at a time. 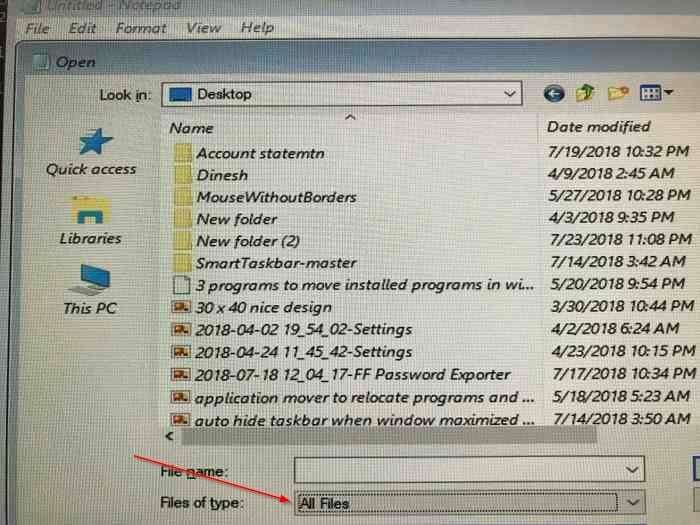 IMPORTANT: After you copy the file/folder to a new location, the new file/folder might not appear on the destination location immediately as the File Explorer won’t refresh automatically. You need to go one folder up and then open the destination folder again to the see the file/folder. Step 9: Lastly, close the Notepad, and then close the Command Prompt window. 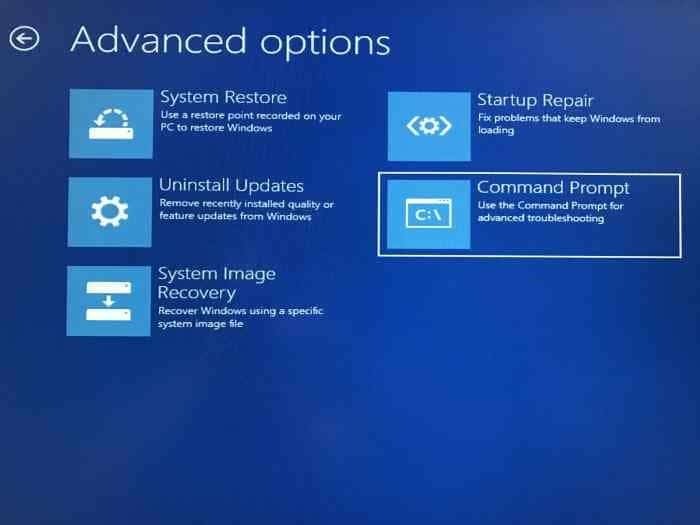 Closing the Command Prompt window will bring you back to the Choose an option screen. 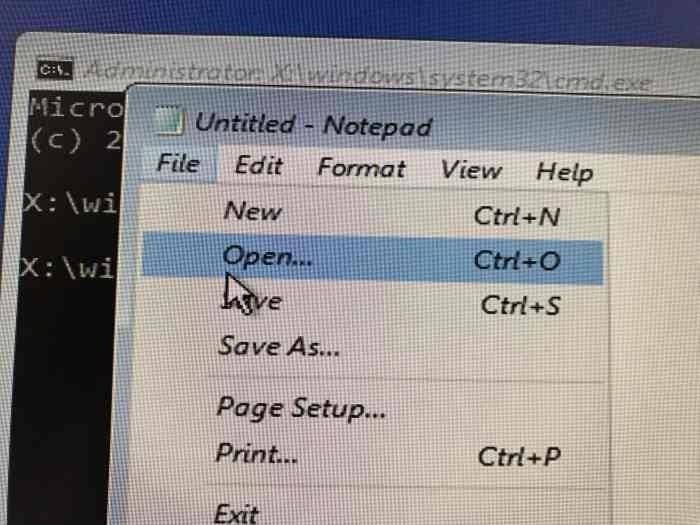 Click Turn off your PC. If you are unable to access the Windows recovery environment on your Windows 10 PC, you can use the recovery drive to access the same and recover your data. 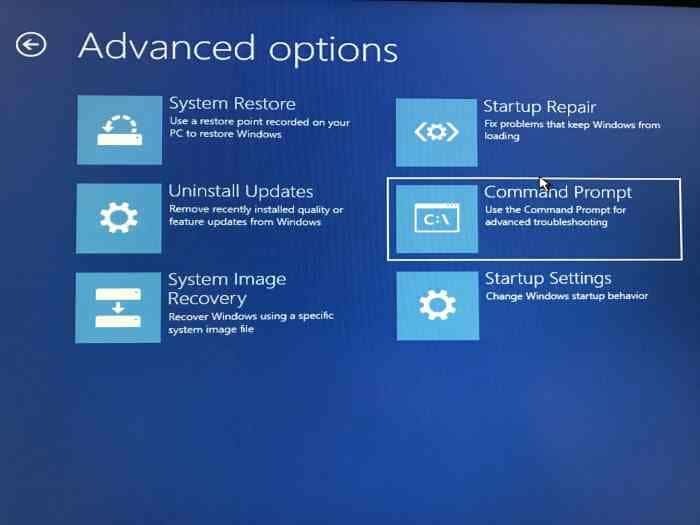 Step 1: Connect your Windows 10 recovery drive to your PC and then turn on the computer. Make necessary changes to the BIOS to let it boot from bootable media. 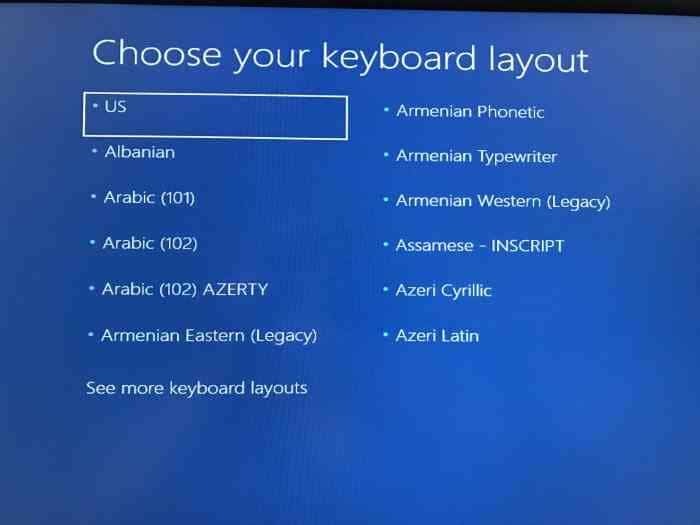 Step 2: Upon booting from the recovery drive, you will first get the Choose your keyboard layout screen where you need to select the keyboard layout that you would like to use now. Step 3: Next, on the Choose an option screen, click Troubleshoot. This action will open Advanced options screen. Step 4: On the Advanced Options screen, click Command Prompt window to open the same. Step 5: From here onwards, follow the directions in Step 6, 7, 8 and 9 of Method 1 (scroll up to see) to transfer your crucial data either to the connected recovery drive, another external drive or different location on your PC. In addition to the Recovery Drive, you can also use the Windows 10 bootable USB/DVD to backup your data. 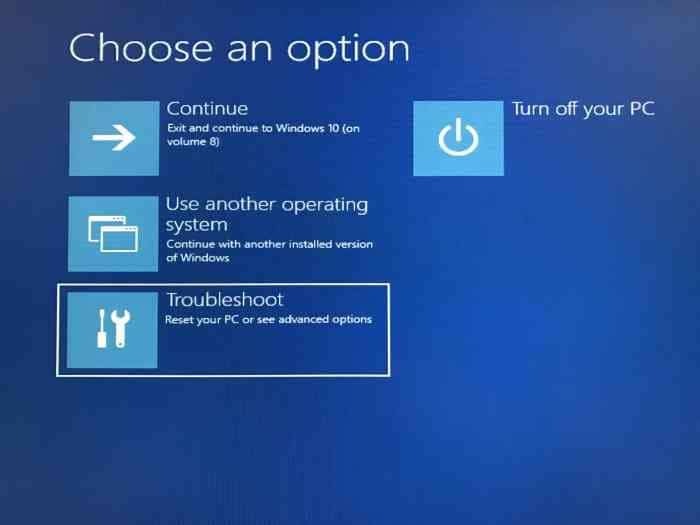 Step 1: Connect your Windows 10 bootable USB or DVD to your PC and then boot from the bootable USB/DVD by making necessary changes to the BIOS. 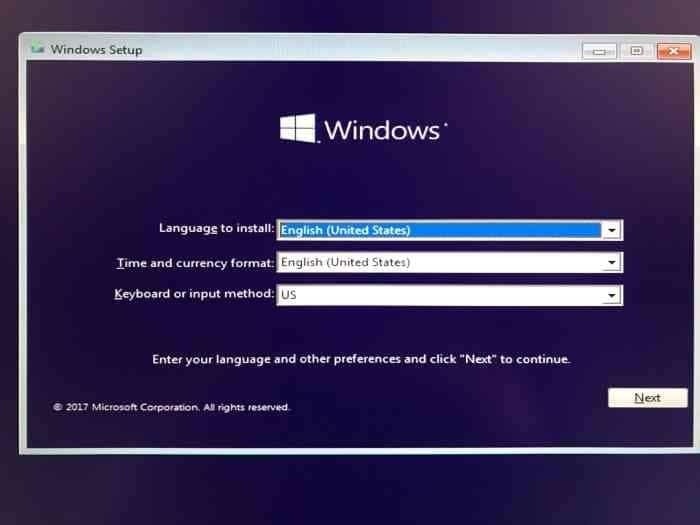 Step 2: When you get the following screen, select your language, Time and currency, and keyboard layout. Click Next button to continue. 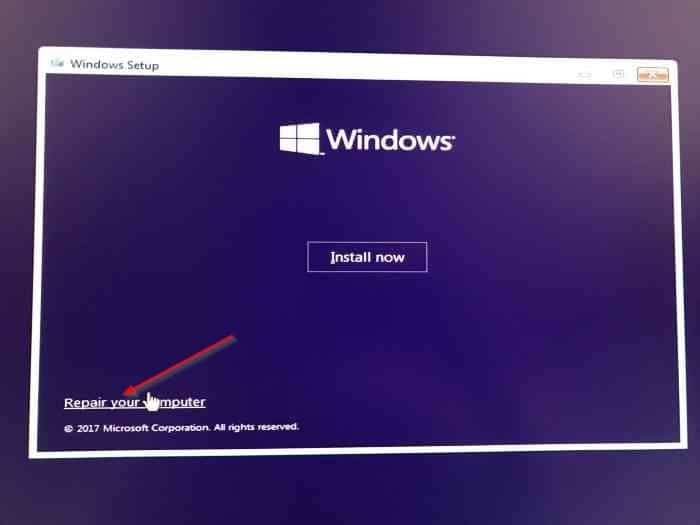 Step 3: On the “Install now” screen, click Repair your computer link to open WinRE. Step 4: You will now get the Choose an option screen. Click Troubleshoot option to see Advanced options screen. Step 5: On the Advanced options screen, click Command Prompt to open the same. 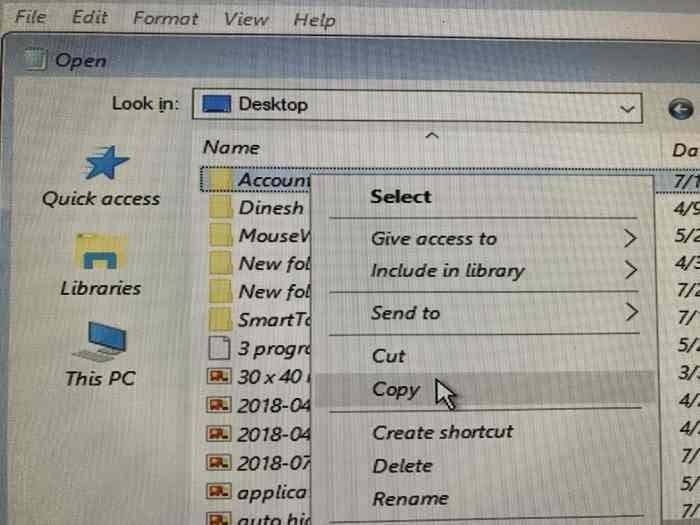 Step 6: Follow the directions mentioned in Step 6, 7, 8 and 9 of Method 1 (scroll up to see) to backup your data to either an external drive or another place on your PC. If for some reason, you are unable to recover or backup your data by following the directions given in above methods, you can use third-party bootable backup tools such as the Redo Backup and Recovery. 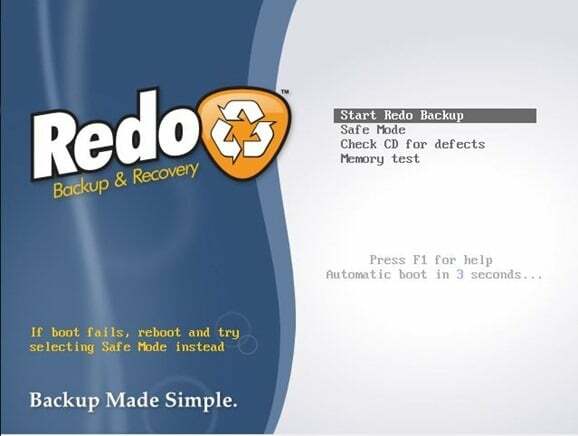 Redo Backup and Recovery is a free bootable software to backup and restore data from unbootable computers. We request you refer to our detailed how to use Redo Backup and Recovery software guide for download link and step-by-step directions. 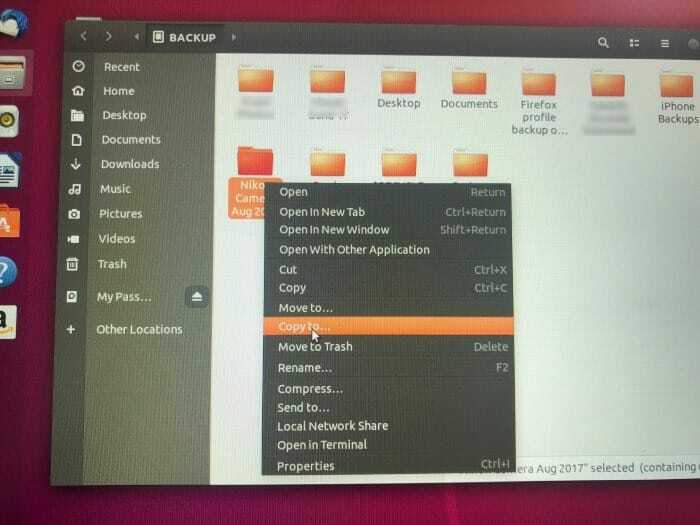 We can also use Ubuntu OS to back up data from an unbootable computer. You just need to prepare the bootable USB of Ubuntu and then use the same to backup data. You can refer to our how to use Ubuntu live USB to back up data from unbootable Windows 10 PC guide for step-by-step directions. 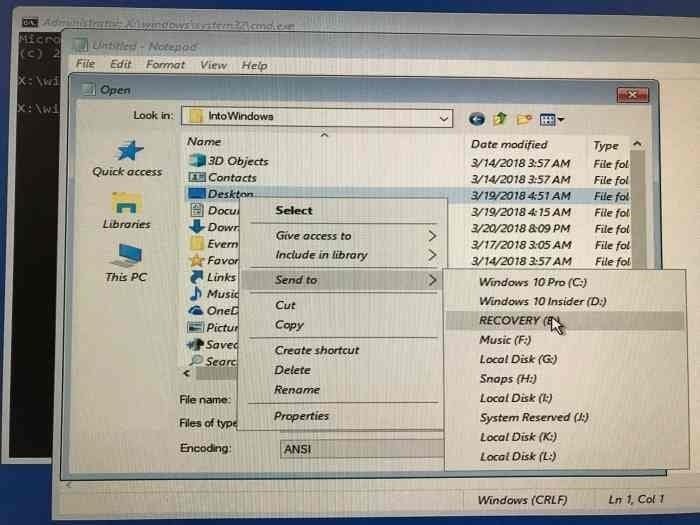 In addition to these methods, you can also try connecting your PC’s internal drive to another PC.